Hire the top 3% of freelance FP&A consultants. 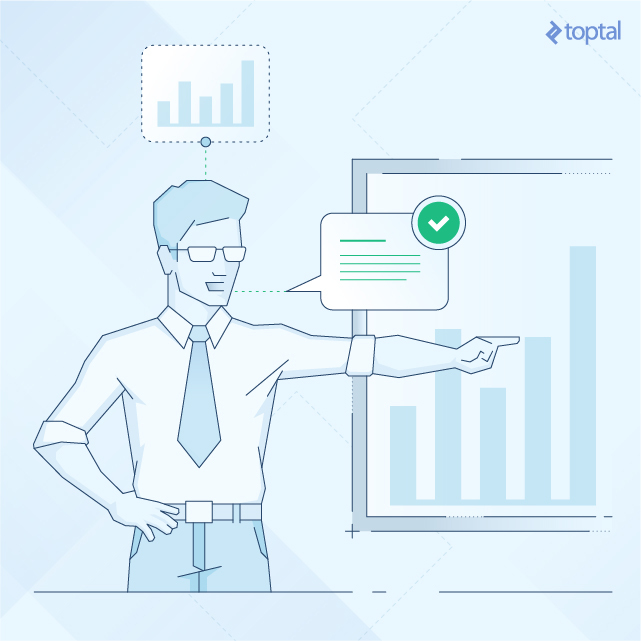 Toptal is a marketplace for top financial planning and analysis consultants. 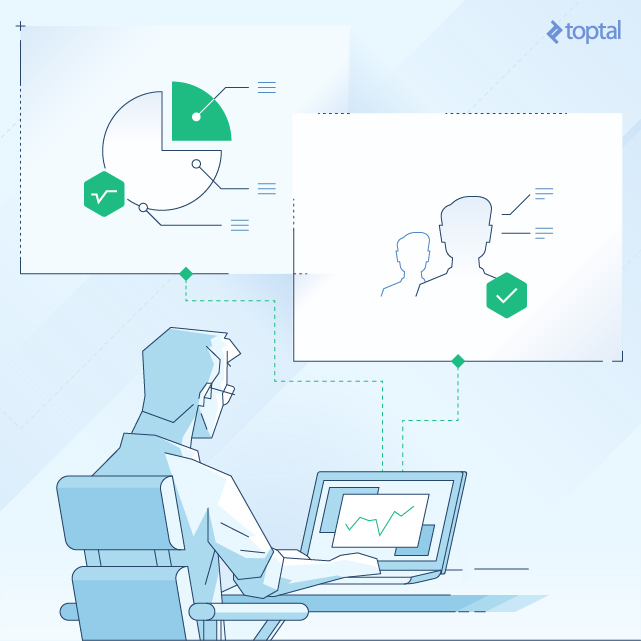 Top companies and start-ups hire FP&A freelancers from Toptal for their mission critical projects. Financial Planning and Analysis Experts are a pillar of any finance team, only building their models after feeling the pulse of every part of the business. This guide will help you identify the very best Financial Planning and Analysis candidates, arming you with the right sets of questions to make sure they are best suited to your specific needs. 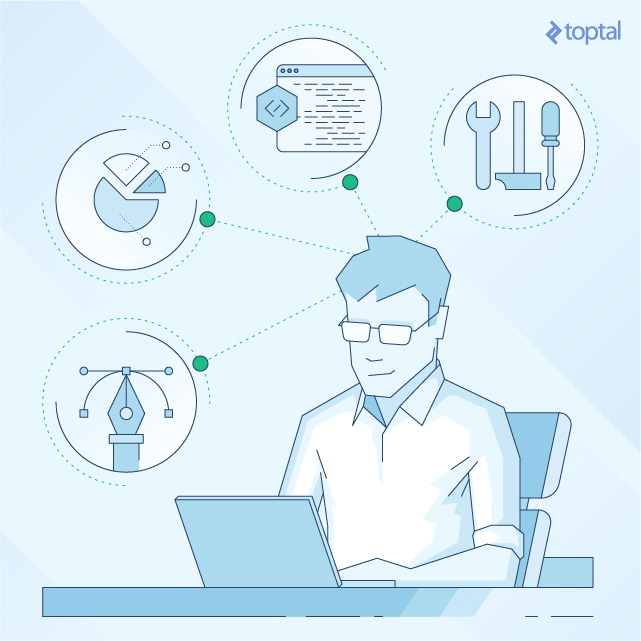 Toptal is a marketplace for top FP&A consultants. Top companies and start-ups choose Toptal finance experts for their mission-critical finance projects. Kapil has more than 13 years of finance experience in investment banking and corporate finance roles. He has managed P&Ls of $250 million+ revenue companies and is proficient in using data analytics to make strategic decisions. Kapil joined the Toptal network to work on interesting projects and interact with cross-functional teams in a variety of industries such as consumer products, eCommerce, and technology (SaaS). Urszula is a manager with nine years of investment banking experience. She specializes in M&A transactions, venture capital activities, and strategic advisory projects for different types of clients: including private equity funds, blue-chip companies, SMEs, and startups. As a freelancer, Urszula is looking for new opportunities to leverage her expertise and develop strong relationships with clients. Reporting to the CEO, Himanshu currently leads all corporate finance activities of a solar power developer (Grasshopper Solar). Previously, as a financial advisor, he helped infrastructure companies raise over $6 billion in debt and equity financing. As a freelancer, he assists clients across a wide range of markets, geographies and company maturities in building financial projections, planning, budgeting, and fundraising. Throughout his 16 years of consulting with Tata and Frost & Sullivan, Amit has advised multinational companies like Samsung and DuPont on more than 50 projects up to $100 million. An IIM MBA and an IIT engineer, he enjoys working with diverse clients with different company maturities, helping them devise growth strategies (both organically or through M&A). Financial Planning and Analysis (FP&A) experts are jacks-of-all-trades and the master of most others, making them both difficult to come by and desperately valuable. Recruiting for a role that is still taking shape can be difficult and downright frustrating. This may be particularly true for FP&A, a role in which sales targets, marketing campaigns, product launches, planned investments, capital needs, political risks and far more variables besides are pored over and broken down. This guide is designed to help you spot top financial planning and analysis experts, who combine strong analytical mindsets and technical ability with top-notch people skills. While there’s no hard and fast recruiting method, there are certain questions you can ask, allowing you to identify the skillsets needed. Q: The CFO of a $400M company has tasked you with an urgent project to identify the leading cost drivers in the company’s flagging pharmaceutical division, where costs have spiked 30% in the last year, while profitability has remained stagnant. This is an area of the business with which you are not familiar, and the CFO has given you a week to prepare a presentation for the executive team with a plan to increase the division’s profitability by 10+% in 12-18 months. How do you approach this project? Top FP&A specialists know the right questions to ask in order to rapidly understand the financial dynamics of any area of the business & how to address any problems. Here are a few key questions good candidates may ask. What are the financial results & trends for this division over the last few years? What are the trends in the division’s industry, including competitive overview? What are the key metrics for this division? How are performance & success measured? What are the division’s strategic & financial goals/targets, both short-term and long-term? What are the cost drivers for this division? How do you allocate costs within this division? What is the methodology used? How do you measure return on investment? Who are the decision makers within this division? Top FP&A specialists are quick to absorb relevant data and know to disregard superfluous information, all while driving toward solutions-oriented analysis. 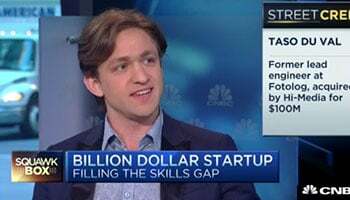 It’s not enough to have outstanding analytical skills. Top FP&A consultants must be able to establish their own credibility, explain complex financial problems in simple terms to key stakeholders, and propose clear solutions, backed by accurate data and insightful analysis. FP&A experts need to inspire confidence through skillful communication. Otherwise, their business recommendations will fall flat, and the company won’t benefit. Q: Your client, the CEO of a $200M late-stage startup, has asked you to analyze the company’s financial results over the past year and prepare a capital allocation model for the upcoming year to present to the executive team. In the process, you uncover multiple inaccuracies in their underlying data, and you know that the company’s CFO was responsible for building their accounting/finance system from the ground up. How do you approach the project? Elite FP&A consultants must be confident in their analyses, be capable of addressing data issues head-on, and proactively propose solutions that fix the roots of these problems. They need to be able to instill confidence that they have a detailed understanding of the situation at hand. Communicating with the CFO to discuss & further investigate data issues. Helping fix the underlying issues and assembling accurate financial data for the successful completion of the project at hand. Providing a strong position on what the organization stands to gain by following the proposed capital allocation model vs. other alternatives (including those that may have been taken in the past). Ensuring a long-term fix for the data issues and a more robust system and/or process for the organization’s financial data gathering & analysis, so as to ensure that inaccuracies don’t happen again (while also making it clear how this fix / investment will benefit the organization in the long run). The difference between average FP&A talent and top FP&A talent often comes down to their ability to handle large amounts of data & tight deadlines. You need to understand whether a candidate is prone to analysis paralysis. Top FP&A experts have a keen sense for how to approach each project, how much time to allocate to each step, and which areas deserve most of their time & focus. Q: Profit, which is currently hovering at 3% of revenue, has declined 20% over the last year within Top Flight’s core business unit–its fleet of private jets. What is your approach for efficiently identifying the main issues & making recommendations for improvements? What specific data would you leverage? What would be an alternative approach, and why? FP&A experts will begin by outlining an overall framework, as well as the key questions that they think will most efficiently help uncover the underlying issues & help shape a successful solution. They will outline the data set needed for efficient analysis. They will also think of strong alternative solutions in case the original approach does not yield efficient answers & optimal solutions. What are the financial results & trends for this business unit over the last few years? What are the key performance indicators & metrics for this business unit? How are those performing versus historical periods? How is the industry performing? Are there macroeconomic issues at hand? Or is this company’s business unit underperforming the industry & the competition? What do leaders within the business unit think is causing the underperformance? What do they think is an optimal strategic path forward? Does the data & analysis support this? Have any initiatives have been put into place already? What were the results? Are there elements that have not been contemplated which may be contributing to the issue? (i.e. need to “peel the onion” and fully understand performance drivers & the root causes of the issues in each sub-segment within the business unit). Along with being strong critical thinkers, top FP&A specialists are also creative problem-solvers. You want eager and adept solutions-oriented candidates. They should be hungry to proactively solve problems across the organization, horizontally and vertically. Q: Your client is a small, privately-held business that has experienced 20% year-over-year revenue growth over the last three-year period. Lately, however, the company has been more budget-constrained, and growth has stagnated. You know that the company has ambitious long-term growth goals. How do you optimize the organization’s capital structure in order to reignite growth while keeping costs under control? Top FP&A consultants will be able to assemble creative, innovative solutions to open-ended problems like this one. Here, it seems that the client needs more capital to invest and jump-start revenue growth. What’s the best way to tackle this issue? For starters, FP&A experts need to be make an assessment to determine how efficiently current capital is being used, and what the return on invested capital is. Does the company really need to find additional capital? Or can existing capital usage be further optimized? An FP&A expert can help identify creative options for reallocating existing capital & budgets to funnel more capital towards the areas with highest value from a strategic & return on investment perspective. If cost-cutting is a must, then a return on invested capital analysis can help make the most efficient cost cutting (optimization) decisions - fully backed by proper analytics. If additional capital is needed, an FP&A expert needs to be able to advise the client on the different options available (i.e. both debt & equity) and the pros and cons of each. This includes impact to ownership, tax implications, interest costs involved, covenants or other thresholds/requirements imposed by the capital issuer, etc. In making a recommendation, FP&A experts will account for the different risks & benefits involved with each option, as well as take into consideration the client’s short & long term goals. FP&A experts must walk a fine line between being patient and being ambitious. Weeding through reams of technical data requires both perseverance and the ability to see the light at the end of the tunnel. Experts must display patience while learning about every facet of the company as they hone their basis for analysis. Their patience should be matched with an ambition to be a vital key player and strong voice at the decision-making table. Experts should be zealous in their ability to influence the trajectory of the business with their unique efforts. FP&A is not a passive function, and a candidate’s attitude should reflect this activist spirit. Q: Your client is the board of a $1B pharmaceutical company and has asked you to build a rolling 13-week cash flow forecast to present at the organization’s next board meeting. However, the company’s CFO has been slow to provide all the information you need. How do you keep the process moving while waiting for this critical information? Top-flight FP&A consultants can read the room and pragmatically assess possible solutions to roadblocks. This is where patience comes into play. FP&A consultants must be able to successfully work with the CFO and build healthy credibility. However, they will ultimately never sacrifice their focus on providing their client, the board, with the comprehensive forecast requested (and on a timely basis). An FP&A consultant will understand that a CFO is a very busy individual, and will take a proactive approach in outlining a clear framework with specific data & information requirements so as to avoid any time wasting. The FP&A expert will also offer to connect and work with the CFO’s Team directly to gather such data & information in a timely manner. If the CFO has been very busy, it is possible that he/she will feel uneasy about not being able to spend enough time on this project. It is therefore imperative for the FP&A expert to masterfully walk the CFO through the analysis in detail, giving him/her the necessary comfort about the accuracy of the end product and building credibility along the way. The best FP&A experts need to be competent with the tools that companies are using for their financial planning and analysis activities (i.e. BI / EPM software). As part of the hiring process, it is important to evaluate how (and how well) candidates engage with key tools of the trade (besides Excel, which is a must!). Ask them to walk you, in detail, through their experience in working with some of the tools noted below. Specifically, inquire what their level of interaction with those tools was (i.e. did they help implement them? Were they super users? Did they use them on a regular basis for their analysis activities? etc.). Financial planning and analysis specialists need to be familiar with tools that enable monitoring and analyzing of an organization’s performance, key metrics & KPIs (such as revenue & profitability, margins, ROI, net working capital, cash conversion cycle, etc.). It’s important for FP&A consultants to be well-versed in how such tools (e.g. Hyperion, Business Objects, Cognos, etc.) work & support strong analytics. Q: A medium-sized firm in Silicon Valley is seeking your help to select the platform the company should use next year to support their FP&A activities. Walk us through your decision-making process. What are the client’s key needs for the system? What type of analytics are best suited for the business? What is the client’s budget and timeline for this implementation? Can the vendor provide estimates on implementation & recurring costs based on scope? How rapidly is the client expanding? This is key to ensuring the solution addresses both current & future needs. What system alternatives are out there that may suit the client’s needs? What have other companies in the client’s space used? Are there reviews/ratings available? Does online research unearth a stellar track record of system performance & service? Does the vendor have partnerships with complementary third-party professional services or applications? What resources does the client currently have in place for this implementation project? Which gaps need to be filled to ensure successful implementation? Technical skills in finance are only as good as the business solutions they produce. FP&A experts are creative problem solvers, who help you look backward and forward to answer the most pressing challenges facing your organization. The best FP&A experts will also be able to quickly bridge the gap from raw data to solutions. For the best among them, not only do they think outside the box – there is no box.